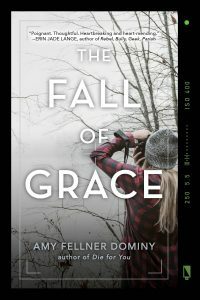 At seventeen years old, the protagonist in The Fall of Grace by Amy Fellner Dominy, Grace Marie Pierce, is living the life of a privileged girl, the pure embodiment of the American dream with money, security, friends, and hope for a golden future. Hardly ever angry, Grace has been sheltered by wealth and fame as the daughter of Janelle Pierce, an investment broker who swaddles herself in luxury: exotic travel, expensive clothes, and other unlimited material comforts. Janelle occasionally escapes the heat of Phoenix, Arizona, and the stress of the financial world by visiting her favorite place, Blue Lakes in Ridgway, Colorado, where the serenity and the breathtaking beauty make her feel like she’s “half a step from heaven” (74). Strong, smug, and confident, Grace moves through life behind her camera lens, capturing the mundane and transforming it into beauty by manipulating light with photography. Because light changes the way people see, perceive, and feel things, Grace loves its magic and plans “to use light to paint the world” (53)—certain that she can shape the world exactly how she wants. The interesting space between black and white makes gray a color of possibility to her. But the bottom falls out of Grace’s dream when she finds herself at the center of the worst financial scam in the state of Arizona. The Family Fund that her mother was managing turns out to be an investment scheme to defraud investors, much like the Bernie Madoff Ponzi scheme. When the FBI arrives to investigate, Janelle Pierce suffers a stroke and collapses into a coma. Now, Grace, the daughter of a thief, is so angry she screams, curses, kicks tires, and smashes things. She wants answers from her mother, who is on life support and unresponsive. Because Grace was the face of the Fund, people blame her for being part of the scam. Even her best friend, Cecily, slaps her across the face and tells her to never again darken her door. Feeling abandoned and betrayed by the people she loves and hoping to find the secret to the lost money at the end of a bus trip, Grace sets out for southern Colorado. A few hours into the trip, she discovers that Sam Rivers, an intense young man with a dry sense of humor and a gruff kindness, is stalking her. He also wants the secret to the lost money since his mother sunk their life savings into the high returns Family Fund. Grace remembers Sam from photography class. He, too, loves gray, but for different reasons—because “when your heart stops and you’re one breath away from dying, gray is the last color you see” (80). The two teens with their dark pasts undertake this truth-seeking journey together. What they discover will surprise and disappoint the reader in equal measure. Besides lessons about betrayal, Grace and Sam learn that sometimes the people we love let us down; sometimes we let them down. But life has no rewind button, so we can’t go back and fix or change what’s in the past. When we try to go back, “all we do is live [the pain] over and over until we’re not living at all . . . , so maybe we have to stop going back” (264). When we experience something traumatic, maybe we’re not supposed to obsess about, imagine, or wonder what could have been different. The only choice is to move forward, forgiving ourselves for any mistakes and letting the guilt dissipate. After all, “blame . . . is like carbon monoxide in [a closed space]; if you keep breathing it in, eventually it will kill you” (269). 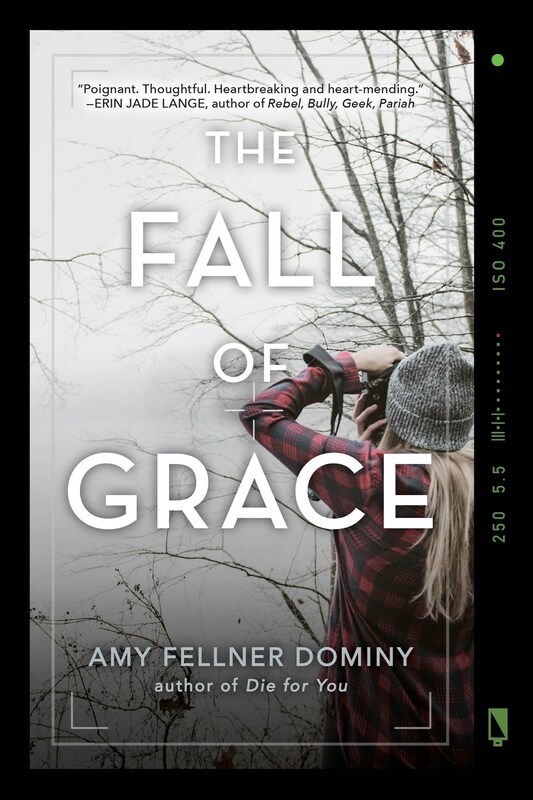 Readers of Sarah Dessen or Cynthia Leitich Smith will likely enjoy Amy Fellner Dominy’s book, an adventure-thriller with a hint of romance. Tagged betrayal, family, friendship, photography, romance. Bookmark the permalink.